New information has surfaced following on the heels of the somewhat inflammatory news regarding a DRM check-in that occurred during a live-stream of a Killer Instinct tournament at the Queens College in New York. What's the new info? Microsoft gives their take... sort of. Back during the reveal of the Xbox One, Microsoft executive Phil Harrison mentioned to Kotaku that there would be a 24-hour check-in to ensure proper content ownership. Harrison's remarks were later extrapolated by Wired in a detailed analysis of the Xbox One and its DRM, where the check-in could prompt users who weren't the original owner of the disc to purchase the content or have the original owner log in. Microsoft reversed those policies after a massive public backlash. 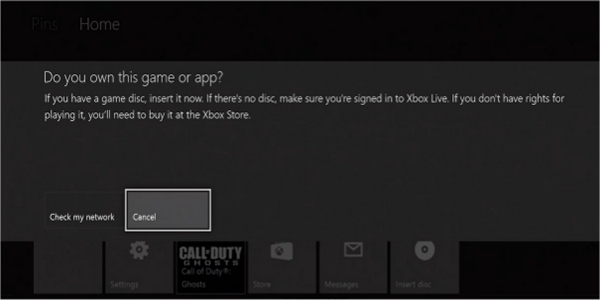 However, when people saw the DRM prompt during the Killer Instinct live-stream, many immediately believed that it was a return of the old policies, as described above. Some speculated that perhaps it was a glitch while others stated that this always happens with Xbox 360, PS3 and PC games (although, I can attest to this never happening during my play sessions). “As we have said previously, there is no DRM check-in every 24 hours. Reports that say otherwise are inaccurate and false. While that assuages the concerns from those who worried that the Xbox One's DRM might be coming back, it does nothing for the current situation that spawned those concerns; what about the Killer Insctinct scenario? In the video I’m watching (posted in your story), it doesn’t look like the player was “booted” mid game, but he’s asked to connect to Xbox Live between rounds. Technically, while still engaged in a match and having the system exit the game to ask you to either insert the disc or have the original owner log-in or to reconnect to Xbox Live for verification purposes, still ties into the direct definition of digital rights management, which is aimed to manage the digital rights of consumers using digital content. In simple terms, it's a security measure. Someone tweeted him and mentioned that the game was downloaded to a second console and that's why it kicked them out, but it doesn't explain why it happened during the middle of the gameplay, nor why it didn't stop them from starting the game with a prompt on the dashboard, which is usually how most other forms of DRM work. This is definitely a situation to keep an eye on as more details emerge.